Adam Mickiewicz was born a Russian citizen, three years after the Third Partition of the Polish-Lithuanian Commonwealth had caused his family lands to become part of the Russian Empire. Descended from Polish nobility, he was a champion of Polish nationalism, both through his poetry and through direct political activism, for which he was sentenced to internal exile within the Russian Empire. He eventually received permission to leave Russia, and spent the rest of his life in exile. 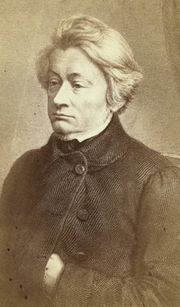 Adam Mickiewicz is currently considered a "single author." If one or more works are by a distinct, homonymous authors, go ahead and split the author. Adam Mickiewicz is composed of 5 names. You can examine and separate out names.